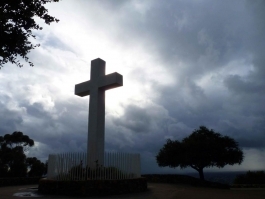 After the storm clouds cleared last week, editor Miriam Raftery captured this image of the cross atop Mt. Helix, framed by a halo of light. 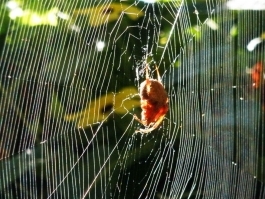 Robert Gehr's photographic lens captured a spider spinning a web in the backyard of his El Cajon home, backlit by sunshine. 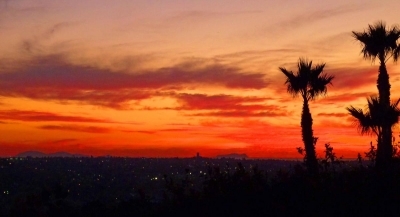 This brilliantly-hued panoramic sunset was shot by Miriam Raftery looking westward from Mt. Helix, with the Coronado Islands visible in the distance.